Welcome to Damai.cn (domain name: damai.cn), a website operated by Beijing Pony Media Culture Development Co., Ltd. and its affiliates (hereinafter referred to as "Damai.cn"). Before enjoying the services offered by Damai.cn, please carefully read and understand this Damai.cn Member Services Agreement (hereinafter referred to as "this Agreement"). Please pay particular attention to the underlined clauses on protection of members' personal information, scope of liability and exemptions, governing law and jurisdiction, etc. 1. After you fill in the information and agree to the contents of this Agreement following the prompts on the registration page, this Agreement will be established between you and Damai.cn and take legal effect forthwith; and at the same time you will become a member of Damai.cn. If you are a minor, please carefully read this Agreement in the company of your legal guardian. You and the legal guardian shall bear liability according to laws and this Agreement. 2. To enjoy the services provided by Damai.cn, you need to agree to the corresponding service clauses in this Agreement. If you have any question on this Agreement, please feel free to, at any time, make an inquiry through Damai.cn's customer service (tel. : 400-610-3721; 1010-3721). Damai.cn will explain to you the relevant contents of this Agreement. If you disagree to, fail to accurately understand or object to the contents of this Agreement, you have the right to stop the member registration process forthwith and refuse to accept any service, including ticket purchase, provided by Damai.cn. 3. The contents of this Agreement include the text hereof and various clauses, restrictions and requirements which Damai.cn has published or may publish in the future and has notified by reasonable ways. The foregoing clauses are supplemental terms to this Agreement and have the same legal effect as this Agreement. Damai.cn has the right to, based on the promulgation or revision of the relevant laws and regulations, the requirements of competent authorities, changes to the service methods, etc., alter the contents hereof at its discretion. Given the fact that Damai.cn has many members and their contact information may change from time to time, you understand and agree that Damai.cn will notify any changes to this Agreement through an announcement or pop-up, and such change will take effect 7 days after notification. If you disagree to any such change to relevant clauses, you have the right to forthwith stop using the services of Damai.cn. 1. You may check the names, time and venues of and actors/players in related performances/competitions (hereinafter collectively referred to as the "Events") on Damai.cn, choose the session you prefer, and conduct a transaction. 2. Before selling tickets of the Events, Damai.cn will conduct its due diligence, and examine the administrative approvals for the Events and the relevant licenses and qualifications of the sponsor/organizer. Please note that, for projects other than those sponsored by Damai.cn, Damai.cn is not able to fully identify whether the materials and documents are authentic or not, and Damai.cn, only serving as a channel for you to choose the types of the Events, purchase tickets and obtain publicity information on the Events, can neither guarantee that the Events could be held on schedule nor control the quality of the Events. 3. 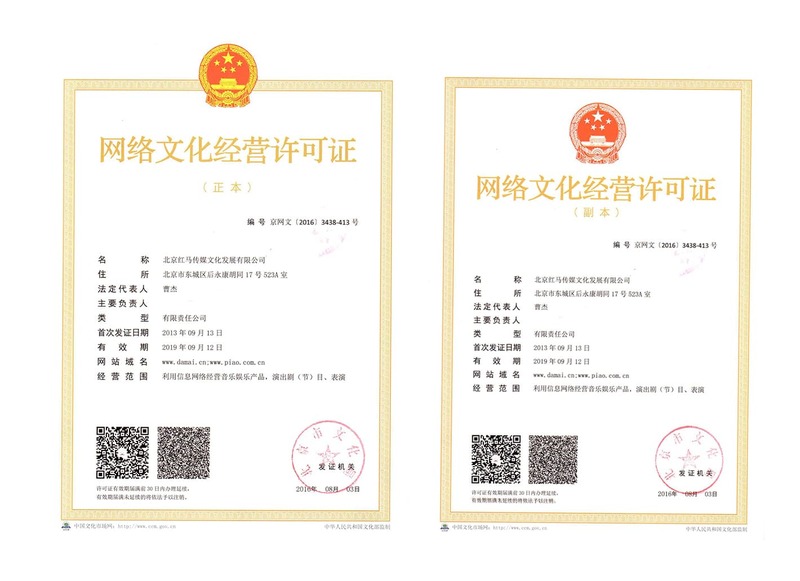 According to the provisions of relevant laws and regulations or administrative authorities' requirements for special Events, some of the services provided by Damai.cn or special Events will require you to complete real name authentication, otherwise, due to legal provisions or relevant requirements, Damai.cn will fail to provide you with corresponding services or Events for you to attend. 4. You may post and share comments on performances/competitions and other Events and create topics, upload pictures, videos, etc. on Damai.cn. 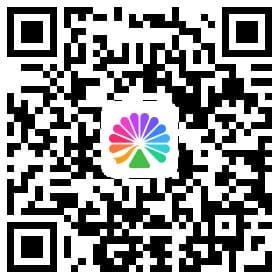 Damai.cn hereby solemnly asks you to note that Damai.cn only provides information storage space service, and the providers shall be liable for any text, music, pictures, graphs, videos or other materials released or uploaded via Damai.cn (hereinafter referred to as the "Contents"). In no case shall Damai.cn be responsible for any Contents, but Damai.cn has the right to, in accordance with the law, mask any of the foregoing Contents and take corresponding actions, including but not limited to saving relevant records and reporting to relevant authorities. 1. Damai.cn reserves the right to change, suspend and terminate the services in whole or in part, and the right to, in light of the realities, at any time, adjust the types of services provided, the specific services and the methods of providing those services. Damai.cn will try its best to announce such adjustments 3 months in advance. 2. 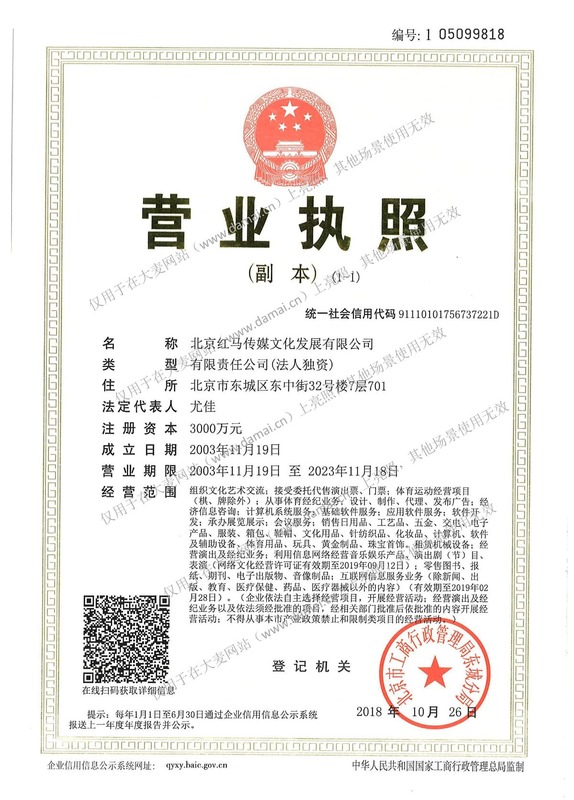 After receiving a notice from an administrative or judicial organ, such as public security authorities, procuratorates or courts, Damai.cn may forthwith suspend or freeze your account with Damai.cn and the account balance (if any), until Damai.cn receives from the said organs a written notice requiring termination of the foregoing measures. 1. After becoming a member of Damai.cn, you will have the right to, at any time, change your account password; meanwhile, you are obligated to carefully keep and use the account password. (4) Unless otherwise provided by laws and regulations or a judicial judgment and with the consent of Damai.cn, your Damai.cn account may not be transferred, gifted or inherited in any way (except property rights and interests related to the account). 3. Damai.cn has the right to, based on the needs of its services, change the entity performing this Agreement or engage other entities to perform this Agreement. Your continued use of services provided by Damai.cn will be deemed as your consent of the foregoing arrangements. (7) violate the public interests or public morals, or, according to relevant agreements and clauses of Damai.cn, are not suitable to be posted on Damai.cn. 1. The intellectual property rights of the contents provided by Damai.cn via its services (including but not limited to web pages, interface designs, page frameworks, texts, audios, videos or other materials) are owned by Damai.cn or relevant right holders. Except as otherwise agreed, the copyright, patent and other intellectual property rights of the software, systems, etc. based on which Damai.cn provide services shall also be owned by Damai.cn. Without prior written consent of Damai.cn, you shall not delete, cover or change the copyright statement, trademarks or other statements of Damai.cn, or display or use the trademarks of Damai.cn in any way. (3) other acts of use which Damai.cn and its affiliates perform out of bona fide or after obtaining your license. Your grant of the foregoing license to Damai.cn and its affiliates does not change the owner of intellectual property rights of the Contents posted by you, nor does it affect your exercise of your legitimate rights to the Contents posted by you. 2. You know, understand and agree that Damai.cn and its affiliates can examine, delete and revise the Contents you posted. 3. Damai.cn has the priority to cooperate with you in respect of the Contents uploaded to or posted on Damai.cn. (12) in the opinion of Damai.cn, is not suitable to be shown on Damai.cn. 1. You expressly understand and agree that, as the ticket agent for performance / competition Events, Damai.cn shall not bear any liability other than those expressly provided by law. In case of any dispute between you and an event sponsor, Damami.cn will use its best endeavors to coordinate the matter and protect your interests, but cannot guarantee that the result of such coordination will meet your expectations. Damai.cn has no right to deal with such disputes. 2. Damai.cn shall not be liable for your losses, unless the losses are caused entirely and solely by an intentional act or negligence on the part of Damai.cn. Damai.cn respects the legitimate rights and interests (including intellectual property rights, reputation right and right of goodwill) of others, and appeals to you to do the same. You expressly understand and agree that, in case that Damai.cn suffers any loss, or is required to pay compensation by any third party, or is punished by any administrative authority resulting from your violation of relevant laws and regulations or the clauses hereof, Damai.cn shall be entitled to take corresponding actions to require you to stop the infringement, including but not limited to terminating your use of your account and deleting the contents which are against the regulations, and will have the right to require you to compensate for the loss or losses thus sustained by Damai.cn. Where, due to force majeure or other reasons beyond the control of Damai.cn, Damai.cn's ticketing distribution system collapses or cannot be used normally and in consequence online transactions cannot be completed, relevant information records are lost, services have to be terminated, etc., except as otherwise expressly provided by law, Damai.cn shall not be liable therefor; in addition, Damai.cn will, to the greatest extent possible, provide reasonable assistance in handling the aftermath, and endeavor to protect you from any economic loss. 1. The clauses of this Agreement are severable. If any clause hereof is held to be invalid or unenforceable, it can be deleted and the remaining clauses shall continue to be valid and enforceable. 2. Governing laws and jurisdiction. The execution, performance and interpretation of, and settlement of disputes related to this Agreement shall be governed by Chinese laws. Any dispute arising from, out of or in connection of this Agreement shall be settled by the Parties through friendly negotiation. If the dispute cannot be resolved through negotiation, either Party may lodge a lawsuit with the people’s court where Beijing Pony Media Culture Development Co., Ltd. is located.